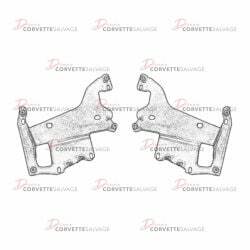 This part is a new, reproduction C6 Lower Radiator Support which can be installed on a 2005 to 2013 Corvette. 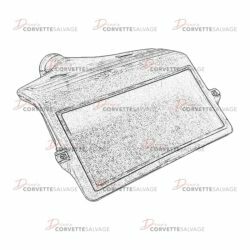 This is a new, reproduction C4 Sunvisor which can be installed in a 1984 to 1996 Corvette. 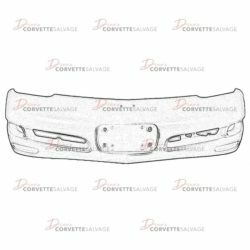 This part is a new reproduction C5 Front Bumper Cover which can be installed on a 1997 to 1004 Corvette. 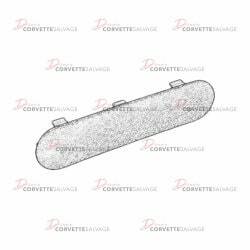 This part is a good, used C5 Air Temperature Sensor Cover which can be installed on a 1997 to 2004 Corvette. 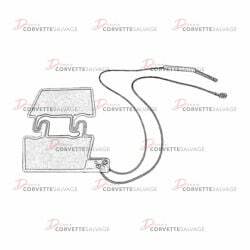 This part is a new, reproduction C4 Air Filter Housing which can be installed on a 1985 to 1989 Corvette. 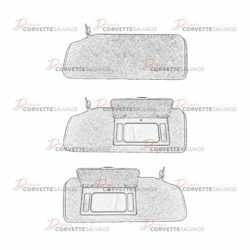 This is a new, reproduction C6 Sunvisor with Lighted Vanity which can be installed in a 2005 to 2013 Corvette. 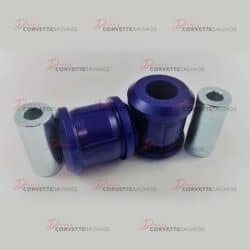 This is a new, reproduction C4 Differential Carrier "Batwing" Bushing Set which can be installed on a 1984 to 1996 Corvette. 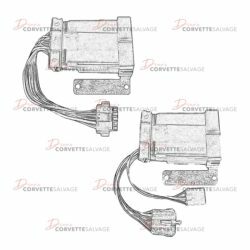 This is a new, reproduction C3 Intermittent Windshield Wiper Delay Module which can be installed on a 1978 to 1982 Corvette. 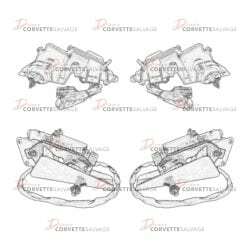 This part is a new, reproduction C4 Headlight Motor which can be installed on a 1984 to 1996 Corvette. 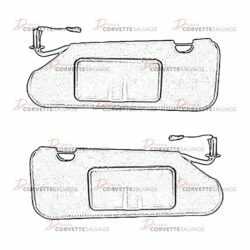 This part is a new, reproduction C5 Door Panel Access Cover Plug which can be installed on a 1997 to 2004 Corvette. 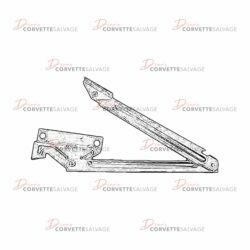 This part is a new, reproduction C5 Headlight Door Mounting Bracket which can be installed on a 1997 to 2004 Corvette. 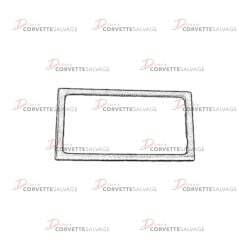 This part is a new, reproduction C5 Rear License Plate Frame which can be installed on a 1997 to 2004 Corvette. 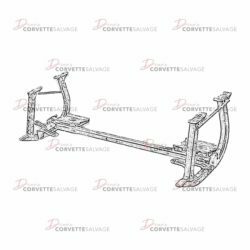 This is a new, reproduction C4 Scissor Type Hood Support which can be installed on a 1984 to 1986 Corvette. 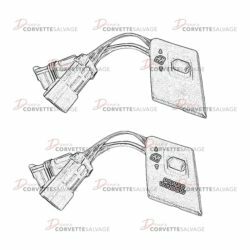 This is a new, reproduction C3 Rear Window Defrost Switch which can be installed in a 1981 to 1982 Corvette. 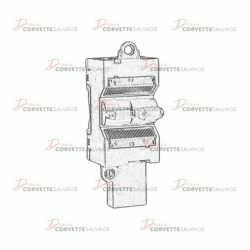 This part is a new, reproduction C4 Passenger-Side Window Switch which can be installed on a 1990 to 1996 Corvette. 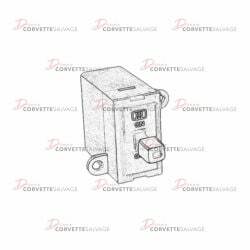 This part is a new, reproduction C4 Driver-Side Power Window Switch which can be installed on a 1990 to 1996 Corvette. 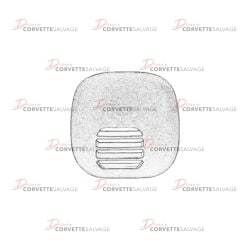 This part is a new, reproduction C5 Horn Button Contact Membrane which can be installed on a 1997 to 2004 Corvette.